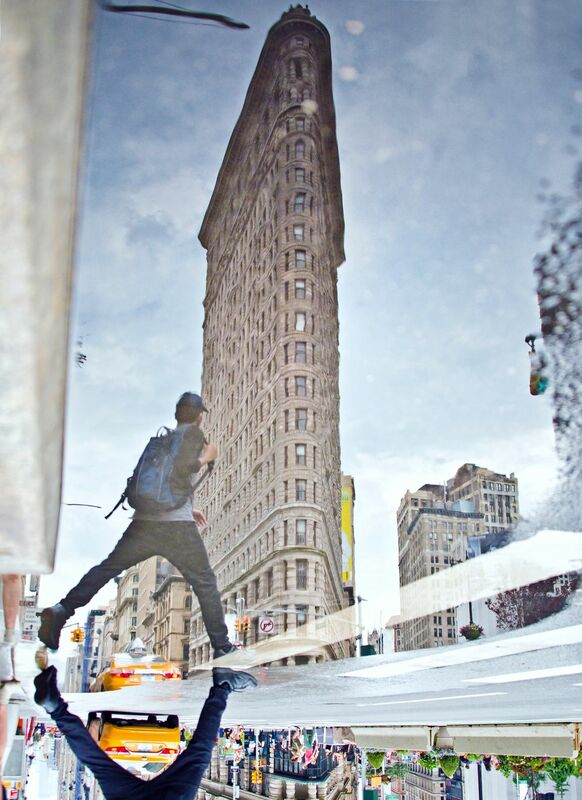 A New Yorker leaps over a puddle reflecting Manhattan's iconic Flatiron Building after a brief summer storm. New York's puddles can be obstacles or pools of beauty. It all depends on your perspective. Date Uploaded: Aug. 13, 2018, 2:22 p.m.